Tracksless Litter Pearls eliminate litter box odors and do not roll becasue the crystals have irregular shapes. Dries solid waste helping to eliminate the associated odors. They are non-toxic and safe for pets. Easy maintenance - just scoop solid waste out and stir the crystals daily. One bag will last one cat up to three months if properly maintained. 70% less landfill contribution than 3 months of clay litter. 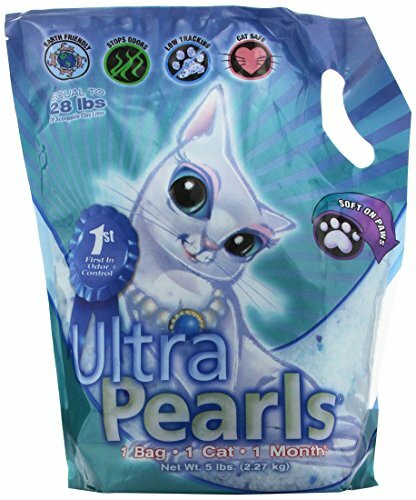 Ultra Pearls are a rounded crystal cat litter that eliminate litter box odors. Dries solid waste helping to eliminate the associated odors. They are non-toxic and safe for pets. Easy maintenance - just scoop solid waste daily and stir the crystals. One bag will last one cat one month if properly maintained. 70% less landfill contribution than clay litter. 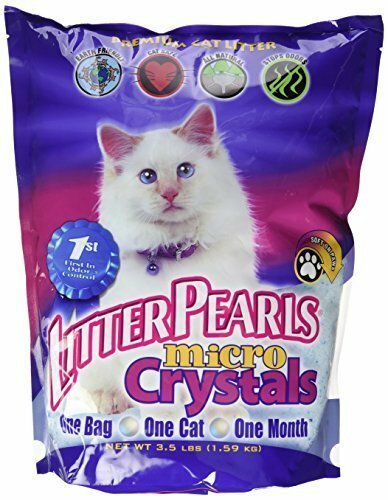 Litter Pearls Micro Crystals are a sand-sized crystal cat litter that eliminate litter box odors. Dries solid waste helping to eliminate the associated odors. They are non-toxic and safe for pets. Easy maintenance - just scoop solid waste daily and stir the crystals. One bag will last one cat up to three months if properly maintained. 70% less landfill contribution than the amount of clay litter used over the same time frame. We introduced North America to its first silica cat litter, Litter Pearls andÂ Ultra Pearls, and it has been a tremendous product sinceÂ their introduction. Like all the other fine products from Ultra Pet ,Â Litter Pearls and Ultra Pearls are made from high quality ingredients that deliver superior results.Â Ultra Pearls are different because they are semi-spherical limiting tracking outside of the litter box and are soft on the catsâ€™ paws. 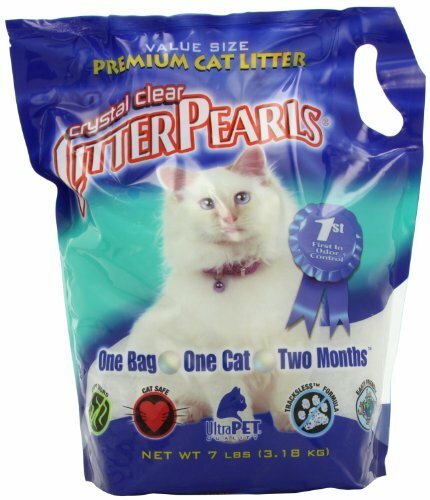 Litter Pearls Ultra Clump are the first clumping silica gel cat litter. 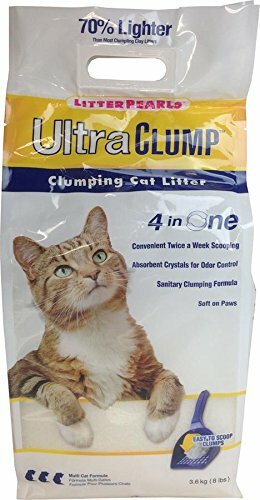 This product is unique as it combines the clumping convenience of scoopable clay litters with the extraordinary odor control of silica gel cat litters. 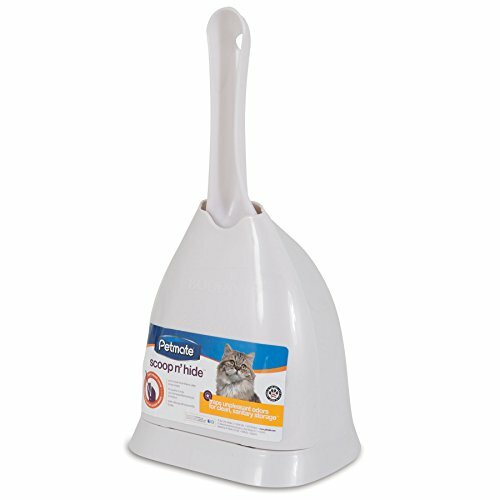 Ultra convenient; Cat owners only need to clean the litter box twice per week if you have one cat saving cat parents time to enjoy with their feline friend. 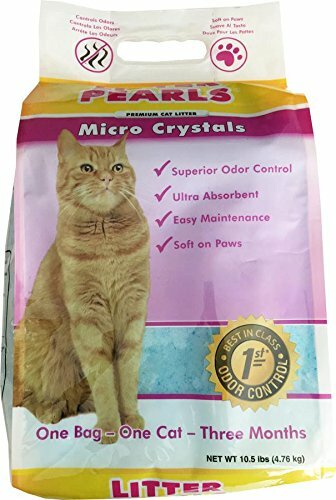 Crystal Clear Litter Pearls eliminate litter box odors with rounded crystals. Dries solid waste helping to eliminate the associated odors. They are non-toxic and safe for pets. Easy maintenance - just scoop solid waste daily and stir the crystals daily. One bag will last one cat up to two months if properly maintained. 70% less landfill contribution than 2 months of clay litter. 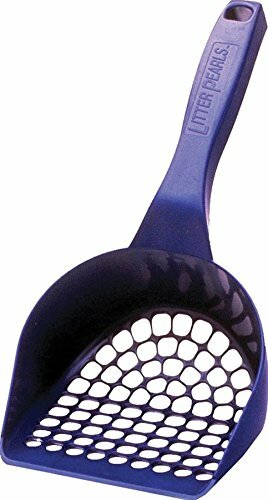 Made of silica gel,Absorbs urine instantly,leaves litter dry to the tocuh,99% dust free.For best results, daily:Remove feces using litter scoop and dispose of properly, Stir the entire litter box contents, especially the bottom. Scoop n hide is an clean and easy way to store messy litter scoops. 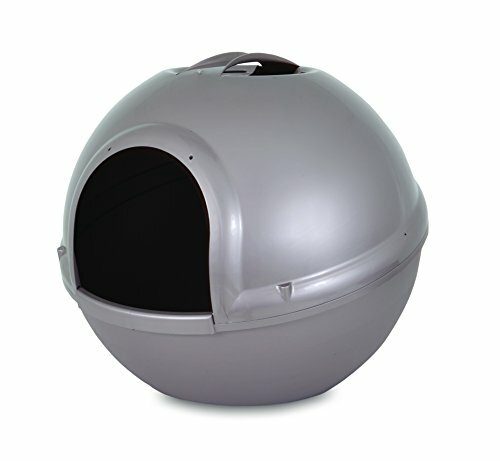 The pet mate dome litter box offers your cat privacy while lending fashion and cleanliness to your home. The unique, covered design helps contain litter scatter while the large capacity filter helps control unwanted odor. Available in a variety of metallic and pearlescent colors, the dome litter box will blend harmoniously with any home decor. This arm and hammer cat pan features a rounded edge for smooth entry on your cat's belly. textured walls increase the sturdiness of the design. easy lift grips and a new wave design. features microban antimicrobial. 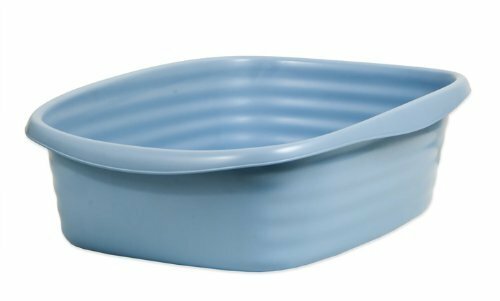 jumbo litter pan helps to reduce litter scatter within your home. 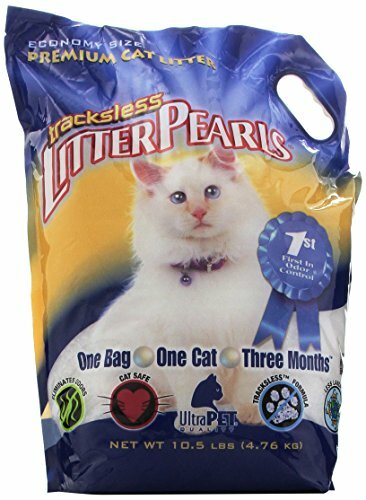 Compare prices on Litter Pearls Cat Litter at ShopPlanetUp.com – use promo codes and coupons for best offers and deals. We work hard to get you amazing deals and collect all available offers online and represent it in one place for the customers. Now our visitors can leverage benefits of big brands and heavy discounts available for that day and for famous brands.